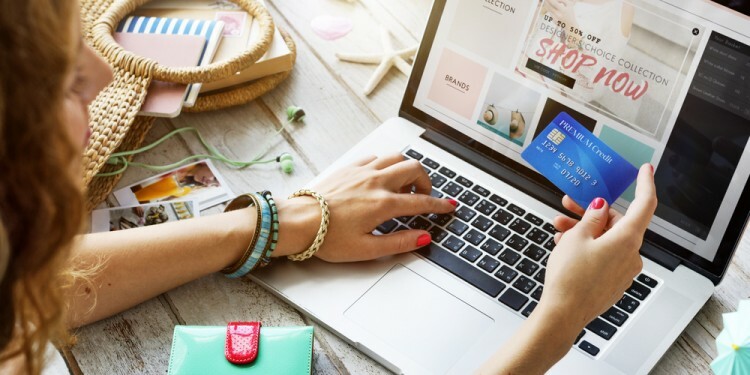 Online shopping is all fun and games until you look at your cart and see how expensive the items and shipping costs are, which is why we’ve created this list of the 21 cheapest online shopping sites with free shipping. The only time I catch myself in a physical store is when I need to return something (rare) and when I have to try on pants because clothing sizes are always terrible and sometimes it’s a struggle to find clothes that fit. It’s just annoying to be bombarded with unnecessary items or lots of people, and then on top of that, to have to carry stuff around once you’ve purchased something. My favorite kind of shopping is the kind I can do in bed at 3 a.m. in my pajamas. Even working in retail didn’t make me enjoy shopping. I think it actually had the reverse effect. There are obvious pros and cons to online shopping. The main positive point is that it’s convenient. You’re almost always going to be able to get your size (if you know it) without the faff of having to go to multiple stores just to end up ordering it anyway. Also, you can do it from the comfort of your own home. Shipping costs vary, but you can often get it free (like on the places on this list). The downside is that it often takes longer to arrive, so there’s no instant gratification. If you have to return something, it’s often a major debacle. The 10 Largest Online Shopping Sites in the World are examples of some leaders in this market. Just be careful not to get scammed when you place online orders because sometimes there are shops that aren’t too good. In choosing the online sites for this list, we used Answer the Public. The places that made it onto the list have their own rules for shipping, so you have to make sure you’re clear on the rules to grab that free shipping. For example, there’s sometimes an order minimum to reach before the shipping is free. We also tried to add shops that offer international shipping. Get your credit cards and wifi ready for our list of the cheapest online shopping sites with free shipping, beginning on the next page.